David Zwirner’s suggestion at a conference in Berlin last week that big galleries should pay higher stand fees at fairs to subsidise smaller galleries has drawn support from other blue-chip dealers. But those exhibiting in Frieze New York’s Frame section for emerging galleries say that the idea, although positive, is too simplistic and fails to address the wider challenges facing their businesses today. Speaking at the New York Times’ Art Leaders Network event, Zwirner proposed a system that would operate “like a tax: you make a little more money, and you get taxed a little bit”. Ensuring that smaller galleries survive is in the interest of the bigger ones, says Olivia Barrett, of the Los Angeles-based gallery Château Shatto. She thinks Zwirner’s idea is “good-natured” but also “pragmatic”, since smaller galleries’ participation in fairs “cultivates markets, many of which will be capitalised upon by ‘larger’ galleries”. Barrett cites the London-based dealer Vanessa Carlos’s previous participation in fairs as being “crucial to, say, Oscar Murillo being ripe for representation by David Zwirner”. Her gallery’s stand in Frame cost around $8,000, and the total cost of participating in the fair around $15,000. Harry Beer, the co-founder of the London-based gallery The Sunday Painter, which is also showing in Frame, thinks that subsidised stands fail to address a wider problem—the polarisation of the art market—which is, he says, “a deep-rooted issue with lots of contributing factors”. More helpful, he suggests, would be a transfer fee paid by large galleries when artists move to them from small or mid-sized ones. Beer adds that shipping companies could reduce their prices for small operations; his gallery’s transport and fair costs made up 35% of its total operating expenses last year. Another exhibitor in Frame, Stefan Benchoam of Guatemala City’s Proyectos Ultravioleta, supports Zwirner’s idea, but is cautious. “We mustn’t fool ourselves: we live in a neoliberal world and work in a hyper-capitalist industry, and things won’t actually change until the major powers truly understand and see actual value in changing the system from within,” he says. There are signs, however, that those major powers are keen—and perhaps more idealistic. Marc Glimcher, Pace Gallery’s president and chief executive, agreed with Zwirner in Berlin. He admits that Pace accepted a free stand at a fledgling fair a few years ago, but thinks it is “the fairs’ responsibility to find a way of making the tax idea work”. The art world is, Glimcher says, “more a finely balanced ecosystem than a food chain”. Others who say they would pay Zwirner’s “tax” include Thaddaeus Ropac and Alex Logsdail, the executive director of Lisson Gallery, who adds that it is the galleries’ collective “responsibility to support one another to create growth and opportunity”. Victoria Siddall, the director of the Frieze fairs, says that Frieze has been subsidising stands for young galleries since 2009. “It has always been a very big deal for us that the best galleries from around the world can participate in Frieze fairs, irrespective of their age or scale,” she says. “At Frieze New York this week, exhibitors in the Frame section [for galleries under eight years old] pay 50% less per square metre than galleries in the main section”, while those in Focus cost 30% less. For 2018, stand fees in Frame are 20% lower than last year, and participation in Live, the new performance section, is free. Siddall adds that Frieze is speaking to galleries “about how we build on this and take it further”. 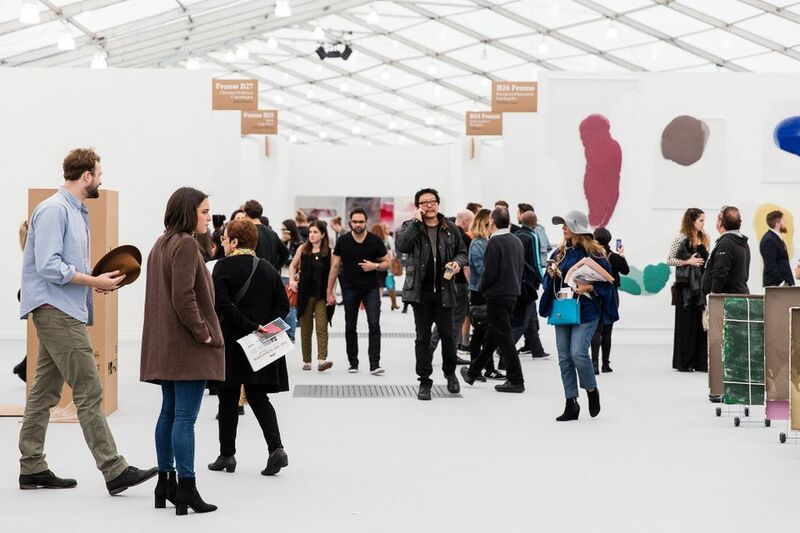 The structure and stand prices for Frieze Los Angeles are yet to be decided.